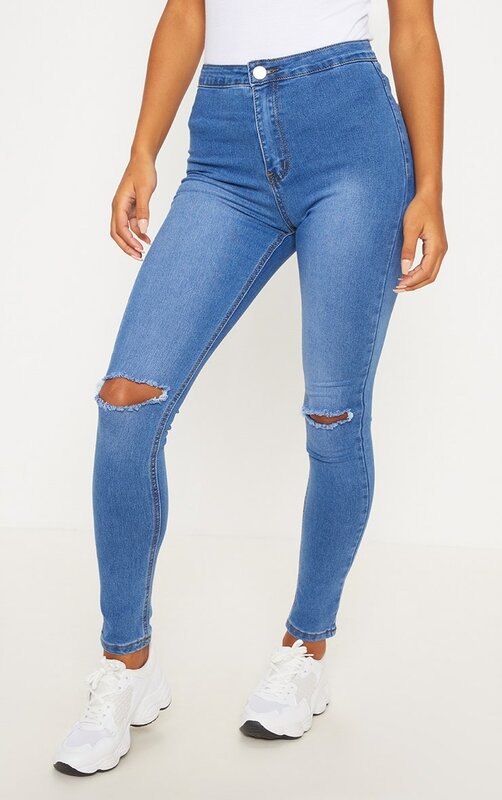 A ripped skinny has gone from a must to a must-have this season. A wardrobe staple, these skinny jeans will do all the talking. Team these bad boys with a white bodysuit, bomber jacket and some white trainers to complete the look.